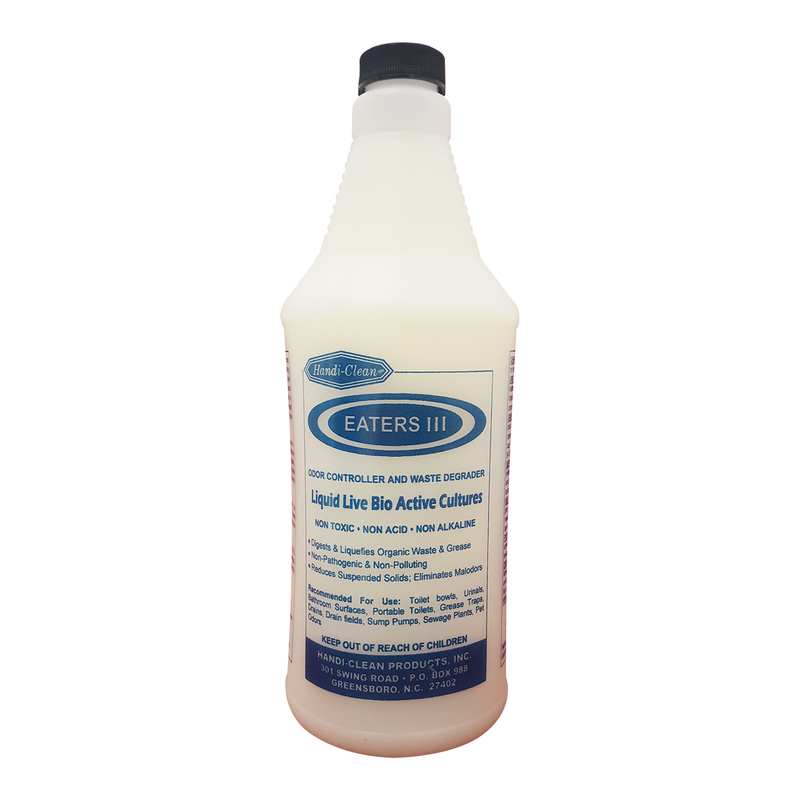 Eaters III is a stable, liquid suspension of spores and vegetative microorganisms capable of digesting complex proteins, starches, fats and cellulose as well as vegetable gums. It is alive with active microorganisms, which are hybrid strains; therefore, it will degrade fats, oils and grease at an accelerated rate. These highly activated stable cultures will grow either in the presence or absence of air. 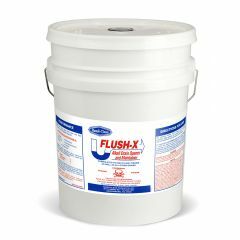 The use of this product in drain lines and pipes in conjunction with a consistent preventative maintenance program will eliminate sludge, grease, fats, scum and sewage that often block drain pipes and lines. Pour directly into the drain at a time when the least flow is expected. Eaters III is highly effective on and around urinals and commodes where odors and germs are present. In addition this product is excellent when used on pet odors in carpets. Optimum performance occurs in temperature range of 550 - 1000F and PH of 6.0 to 8.5. 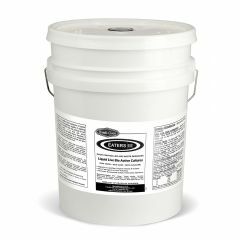 Spray on source of malodors or pour into grease traps, septic traps, holding tanks, drain lines and pipes. Eaters III silently goes to work digesting waste deposits. Leaves a very pleasant fragrance while maintaining open lines. Complete directions are on containers label.